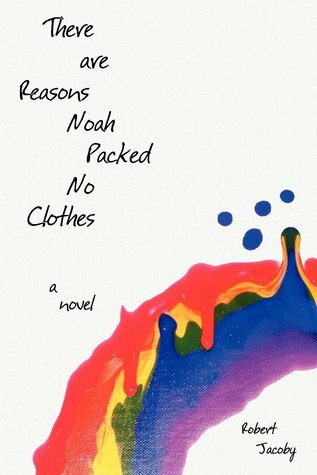 There are Reasons Noah Packed No Clothes is a novel by Robert Jacoby. It is an incredible story about a 19-year-old man who unsuccessfully attempts suicide and his experiences afterward as a patient in a mental institution. I became aware of this book while searching Goodreads.com and the author generously shared his book with me. I am glad he did because it is an enlightening, emotional look inside the damaged mind of the main character and his struggle to adapt to life and other patients in the mental institution. The book is extremely well-written and provides its readers with a better understanding of mental illness and the many forms in which it manifests itself. I highly recommend it. This entry was posted in Uncategorized and tagged Books, depression, mental illness, Robert Jacoby, suicide, There are Reasons Noah Packed No Clothes. Bookmark the permalink. So glad I read this one myself as it is not something I would normally gravitate to. It is excellent! Let me know how you liked it after you’ve read it please!